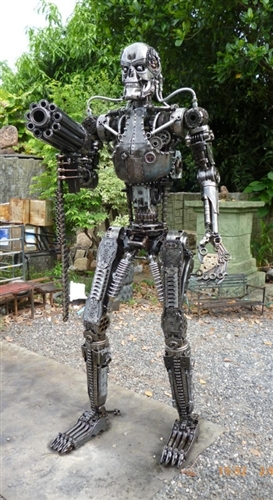 TERMINATOR 7.5 Feet (2.2m) Life Size. 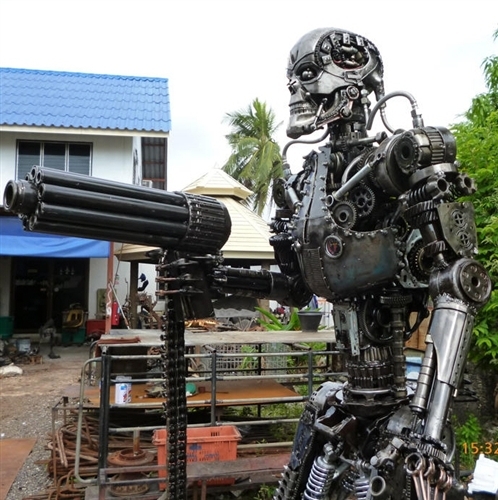 This is the amazing movie classic TERMINATOR in, an astonishing 7.5 feet size. As you can see, this piece is extremely detailed with all the gadgets you can image, moving head, removable gun and moving arms. It looks fantastic in your home, office or a trade show. For easy transport it can be taken apart into 6 pieces.